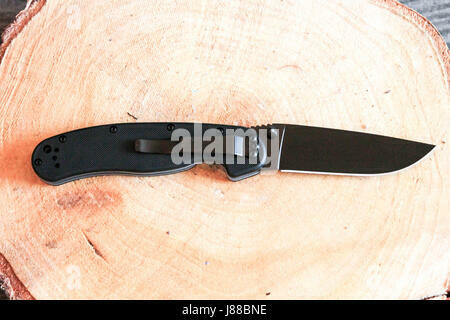 Pocket knife in unfolded form with a pocket clip. Black knife. 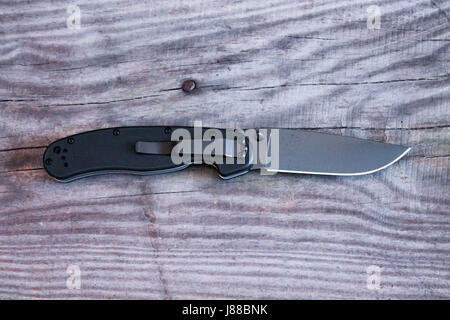 Black knife and gray wood background. Pocket knife in unfolded form with a pocket clip. Black knife. 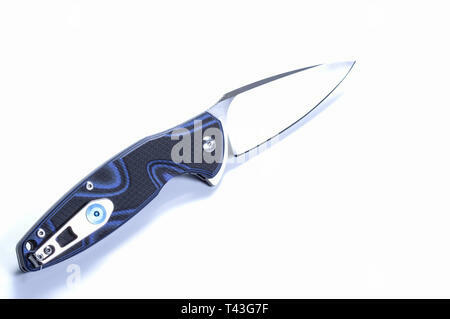 Knife in the unfolded form. 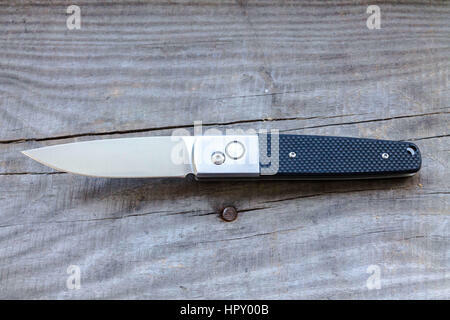 Automatic knife on a wooden background. 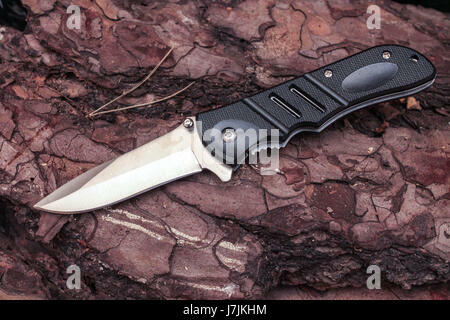 Knife in the unfolded form. 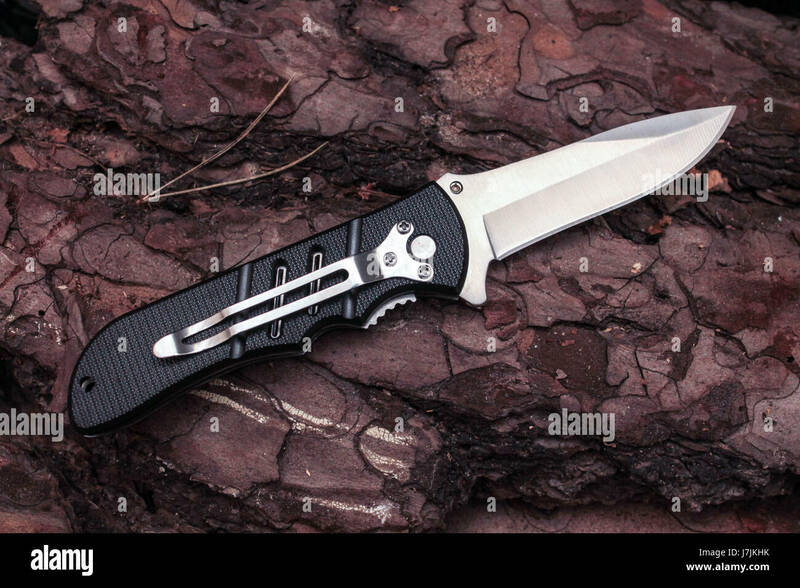 Knife with a clip on the handle. Pocket knife. Pocket knife in the unfolded form on the background of pine. A sharp knife.